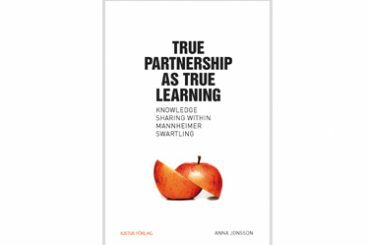 Knowing in Practice refers both to a research perspective for how to understand knowledge sharing and to the analytical method that Anna Jonsson apply. The ability to share knowledge is not only important for the individual organisation, but also for society due to globalization, digitalization and the ongoing generation shift on the job market. In short, we need to understand how to organize and lead change. Anna Jonsson is associate professor/docent and senior lecturer at Lund University School of Economics and Management. Anna is also a researcher at Score, which is part of Stockholm University and Stockholm School of Economics. Utvald, tillsammans med elva andra forskare vid Lunds universitet, till LMK-stiftelsens Idéforum i Björkliden 2016. Om internationalisering och lärande i praktiken - en studie om hur lokala nationella företag förvärvar stora multinationella företag. Learning how to internationalize in practice - a case study of how local national firms from emerging markets acquire large multinational firms. Nya affärsmodeller i digitaliseringens spår. Projektledare Anna Jonsson. Projektteam: Niklas Egels-Zandén, Catrin Lammgård, Johan Hagberg, Anna Jonsson och Malin Sundström. Importing Swedish retail companies: predictors of performance. Responsible; Professor Deo Sharma. Project team; Deo Sharma, Daniel Tolstoy and Anna Jonsson. Anna Jonsson’s research mainly focuses on consequences of globalization and digitalization and the need for knowledge sharing and learning in organizations and society. Her findings point towards the importance of learning and sharing knowing in practice, where FIKA plays an important role. 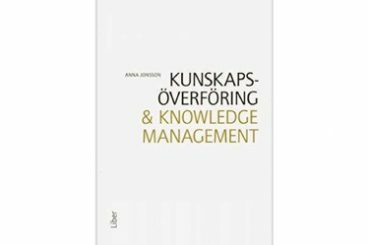 Anna Jonsson is currently involved in two research projects; one focusing on the on the learning processes of emerging market MNCs, and one on integrated knowledge development for securing long-term and sustainable provision of knowledge in society. Medverkar i samtal kring arbete med strategier för forskningssamverkan inom kommunerna den 24 oktober. Föredrag om Vetenskap och kunskap i praktiken. Leder tillsammans med Maria Grafström (Score) två panelsamtal vid FEKIS 2017, MAH: Onsdag 18 oktober: "Samverkan i ropet: En diskussion om att verka och veta tillsammans". Torsdag 19 oktober: "Vad händer i mötet mellan teori och fiktion? Att undervisa med hjälp av skönlitteratur". After the party – a workshop on how to survive as a postdoctor, Lund, 18th September 2017. Vetenskap och kunskap i praktiken, Lund, 3 april 2017. There is a growing interest for issues related to knowledge management and ways for how to lead knowing in practice. The ability to share knowledge is not only important for the individual organization, but also for society due to globalization, digitalization and the ongoing generation shift on the job market. Welcome to contact Anna Jonsson if you are interested in her participation in the issues related to her research and in following areas. Grafström, M., Jonsson, A., Stig, O. 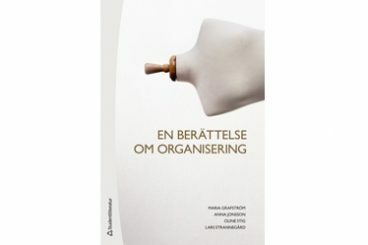 & Strannegård, L. (2017) Lund: Studentlitteratur. Hagberg, J. & Jonsson, A. (2016) Undran inför framtidens affärer. Lund: Studentlitteratur. 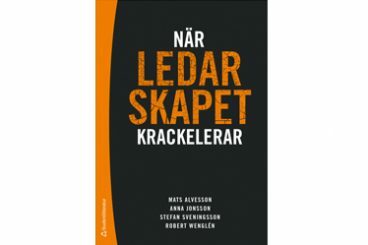 Alvesson, M., Jonsson, A., Sveningsson, S. & Wenglén, R. (2015) Ledarskap i den inte så lätta praktiken. Lund: Studentlitteratur. 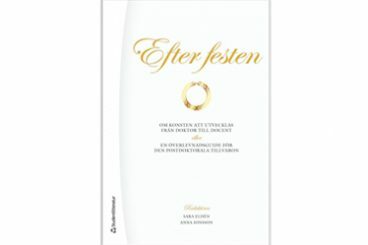 Eldén, S. & Jonsson, A. (red) (2014) Om konsten att utvecklas från doktor till docent, eller, En överlevnadsguide för den postdoktorala tillvaron. Lund: Studentlitteratur. Jonsson, A. (2013) Knowledge Sharing within Mannheimer Swartling. Uppsala: Iustus förlag. Jonsson, A. (2012) Malmö: Liber. Jonsson, A. (2007) A study in the IKEA world. Lund Studies in Economics and Management, 97. Lund: Lund University press. Professional blinders? 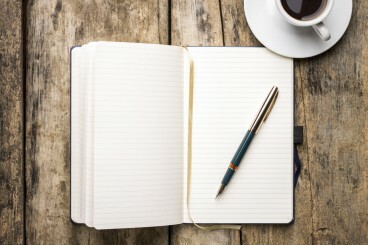 The novel as an eye-opener in organizational analysis. Grafström, M. & Jonsson, A. (2018) Special issue: ’Tropes, Genres, Fiction: Literature and Organization’ in Culture and Organization. Retail digitalization: Implications for physical stores. Hagberg, J., Jonsson, A. & Egels-Zandén, N. (2017) Editorial: Retail digitalization: Implications for physical stores. Special Issue. Journal of Retailing and Consumer Services, 39, 264–330. Ledarskap, ledarskap… men inget lärande? Jonsson, A. (2016) Ledarskap, ledarskap… men inget lärande?. Organisation & Samhälle, 2016/2. The Influence of a Retail Firm’s Geographic Scope of Operations on Its International Online Sales. Tolstoy, D., Jonsson, A. & Sharma, D. (2016) International Journal of Electronic Commerce, Vol 20(3): 293-318. Johansson, M. & Jonsson, A. (2012) A study on value creation and knowledge flows. European Management Journal, 30(6): 535-551. Jonsson, A. (2018) Samverkan i ropet. Hur förväntas vi nå ut med vår forskning? I Sjöholm, C. & Jernek, M. (red.) Är det någon konst att vara akademiker? Ett symposium om Academic skills. Lund: Lunds universitet, s. 55-62. Jonsson, A. (2017) Dragons with Horsepower: Learning from the Internationalization of Emerging Market Firms. In Marinova, S. Larimo, J. & Nummela, N. (eds) Value Creation in International Business - Volume 1: An MNC Perspective. Jonsson, A. (2014) I Mineur, E. & Myrman, B. (red) Hela vetenskapen. 15 forskare om integrerad forskning, 91-100. Jonsson, A. (2014) Om lärande arbetsplatser för ständig förnyelse och hållbar framgång, eller, Om önskan att få ett pris ur Kungens händer. I Håkansson, R., Sjögren, N-O. & Alm, P. (red) Kreativa miljöer – hur uppstår de?. Kungliga Fysiografiska Sällskapet i Lund.91-112. Jonsson, A. & Tell, F. (2013) Knowledge management. In Strannegård, L. & Styhre, A. (eds) Studentlitteratur. Lund, pp 75-106. Jonsson, A., Klintman, M. & Mont, O. (2012) Förändringsarbete ur ett ledarskapsperspektiv: utmaningar och möjligheter för genusarbete vid Ekonomihögskolan i Lund. I Lövkrona, I. & Widén, K. (red) AKKA IV 2010-2011. Rapport till Högskoleverket. Jonsson, A. (2009) The Paradox of Sharing and Using Best Practices Within The IKEA World. In Jordan, S. & Mitterhofer, H. (2009:30-49). Beyond Knowledge Management - sociomaterial and sociocultural perspectives within management research. pp 37-56. Innsbruck University Press. Elg, U, Jonsson, A & Tarnovskaya, V. (2006) IKEA: Entering Russia in Ghauri, P. Cateora, P. (2006:599-603) McGraw Hill Education. Second edition. Digitalisering i handeln: Navigera rätt bland utmaningar och möjligheter i den snabba strukturomvandlingen. Handelsrådet, 2017 (Redaktör: Jenny Dahlerus). Jonsson, A., Egels-Zandén, N., Hagberg, J., Lammgård, C., och Sundström, M. (2017). 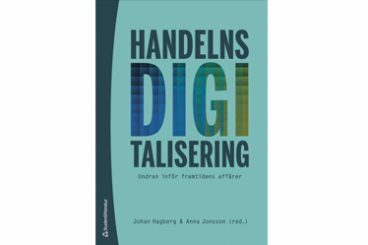 Handelns digitalisering och förändrade affärer. Handelsrådet. Nr 2017:4. Jonsson, A., Sharma, D. & Tolstoy, D. (2012) Exploring predictors of performance. A study of the international activities of Swedish retail firms. Lund Institute of Economic Research, Working paper series 2012/3. Jonsson, A. (2007k) Knowledge sharing at micro level: A participant observation at IKEA in Japan. The Institute of Economic Research Working Paper Series, 2007:2. Jonsson, A & Kalling, T. (2006c) Challenges to knowledge sharing across national and intra-organizational boundaries: A comparison of IKEA and SCA Packaging. The Institute of Economic Research Working Paper Series, 2006:8. Jonsson, A. & Alvesson, M. (2017) The tension between functional stupidity and dysfunctional anxiety in public organisations. Paper accepted and to be presented at the NFF 24th Nordic Academy of Management Conference, Bodö, Norway, 23-25 August 2017. Grafström, M., Jonsson, A. & Klintman, M. (2017) Collaborating across societal sectors: A buzzword or a governance mechanism for research? Paper accepted and to be presented at the NFF 24th Nordic Academy of Management Conference, Bodö, Norway, 23-25 August 2017. Jonsson, A. (2017) Organizational capability building: a case study of an emne’s quest for learning. Paper accepted and to be presented at the 33rd EGOS Colloquium, Copenhagen, Denmark, 6-8th July 2017. Jonsson, A. (2015c) Retail digitalization: A research agenda for how to meet the on-going transformation process. Paper accepted for EAERCD, Rennes, France, 1-3 July 2015. Jonsson, A. (2015b) Curiosity as methodology: Creativity, reflexivity and responsibility through the iterative knowledge process of doing ethnographic work. Paper accepted and to be presented at EGOS, Athens, Greece, 2-4 July 2015. It is not the strongest of the species that survive, nor the most intelligent, but the one that is most responsive to change. Simple truths are the hardest to come to – and the most powerful to use. So the secret to success,” Joe went on, “to gaining it, to having it, is to give, give, give. The secret to getting is giving. And the secret to giving is making yourself open to receiving. Any intelligent fool can make things bigger, more complex, and more violent. 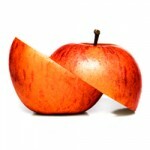 It takes a touch of genius – and a lot of courage – to move in the opposite direction.